Hans has a little history about the creation of the stool on his website ? here. 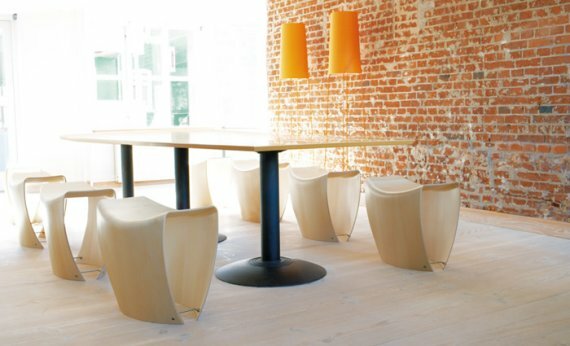 The stool, made from form-moulded wood, is an excellent choice for use in museums, art galleries, lobby and waiting areas, cafés and the home. Available in walnut, maple or black lacquered ash. 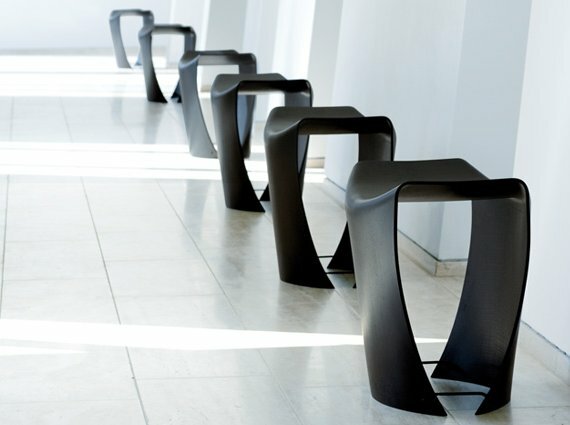 It’s also possible to link several stools together using a steel connector to form a bench. It is produced by the Danish furniture company Fredericia. Visit the Fredericia website ? here.